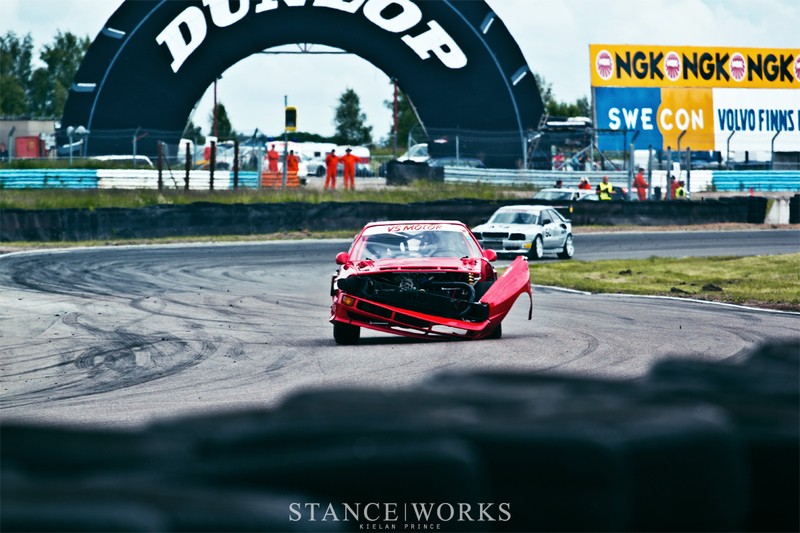 Gatebil: arguably one of the craziest weekends in the automotive world. 4 weeks ago, they held an event in Sweden at Mantorp Park. It was unlike anything I had ever seen. Roughly 20,000 people showed up and there must have been at least 1,000 participants. Something I feel as though could never happen in the US. Gatebil doesn’t just focus on one area of motorsport either. 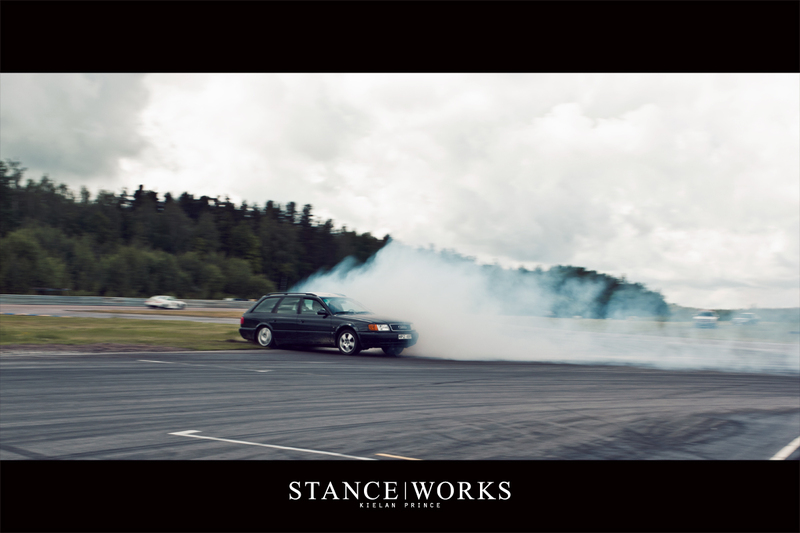 Drifters, time attack racers, and people who just want some track time are all welcome. It really is the ultimate track day, for many something you could only dream of. Over the course of each day, there is time where it’s just open track, and any one of any skill level is allowed on track, which always lead to some interesting situations. There was also time for the pros to get out there and put on a show, a few time attack races, which were in my opinion the coolest cars out there. Many of these cars sacrifice nearly everything that has weight in favor of being able to get around the track the fastest, which meant that at even the slightest contact an entire front end could be destroyed. There is no limit to what you will see on track at Gatebil. 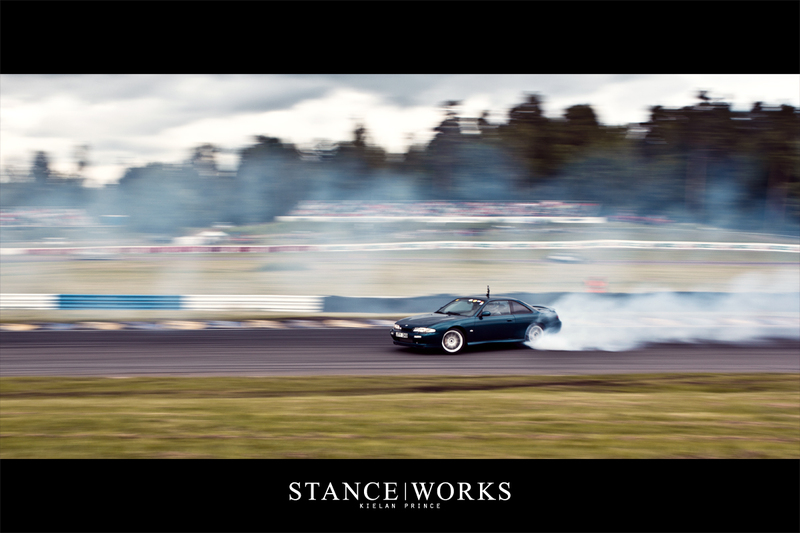 BMW, Audi, Volvo, Saab, Nissan, Toyota, you name it, chances are it’s there to tear up the track. Which really is what makes Gatebil, Gatebil; its openness to everything. The atmosphere is unlike anything you have ever experienced. If the experience I had at Mantorp was any indication, this weekend is going to be off the wall. Now, tomorrow, the main summer event starts, and if what I’m being told is true, it’s going to be more than twice the size of Gatebil Sweden, and promises to be absolutely insane. I will be there doing my very best to capture as much as I can. I can’t promise anything, but I can assure you that there will be mayhem, lots of it. So be on the look out for that coverage this weekend. See you in Rudskogen.